Launched at this year’s Rail Forum AGM, the new Events, Communications and Networking delivery group has hit the ground running. 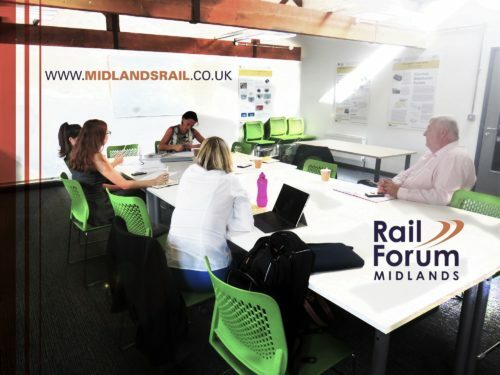 One of four steering groups established to support the RFM team and further integrate the board members with the day-to-day activities; the group’s role is to advise on and assists with the Rail Forum events programme including key trade exhibitions; regularly review the Rail Forum comms platforms and provide support on website and social media development. The participating board members; Donna Bickley of Inside Out Group, Catherine Appleby of Yellow Rail Group, David Brookes of Elite KL and Barry Aldridge of Tidyco, have already made good progress and along with the Rail Forum team, are now hard at work preparing for RVE 2018, RFM Charity Golf day and Annual Conference! If you have any event or communications feedback, feel free to get in touch with your delivery group chair: Donna Bickley or Rail Forum lead Sophia Blakey.